You may have seen a horsefly, but have you ever seen a horse fly? Back by popular demand, Art in the Wind returns to the Agora Art Fair. 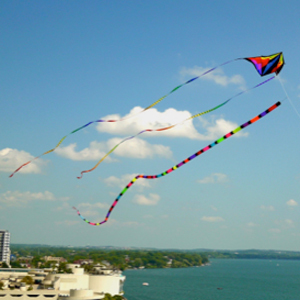 Kite enthusiasts don’t stop with flying store-bought kites at their local park. Some of our kiters build their own masterpieces and travel the world to color the sky with their creations. Ray Blum is a local Fitchburg kiteflier. 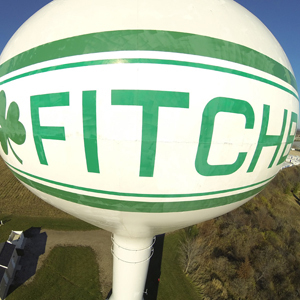 He has been flying kites for the last 15 years, and his kites can often be seen flying in Fitchburg’s McKee Farms Park. 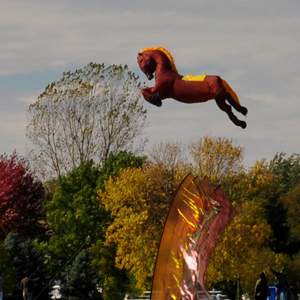 He has a number of beautiful show kites that are 10’-14’ wide with colorful 100’ tails. He is a member of the American Kitefliers Association & the Wisconsin Kiters. Ed Grys has been making and flying kites for 55 years. 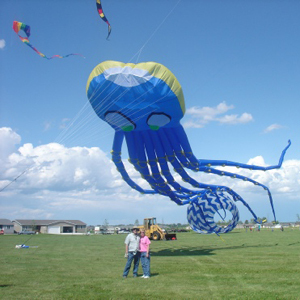 He is the Region 6 director for the American Kitefliers Association and a member of the Wisconsin Kiters Kite Club. 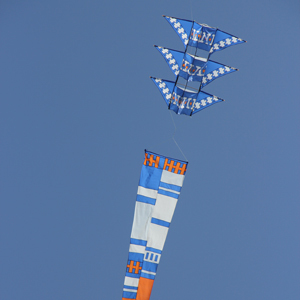 Paul Fieber has been building and flying kites and banners for 20 years. His handcrafted kites have received awards at the Smithsonian Kite Festival and the American Kitefliers Association nationals. He is past chair of the AKA’s Kite Art Committee and a former regional director of that organization. 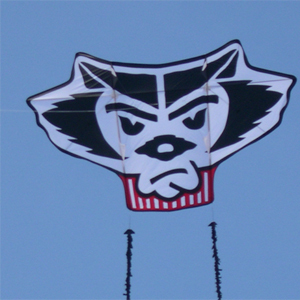 He has flown at U.S. and international events and is a member of the Wisconsin Kiters. Barb Meyer has served as coordinator for MAKR for over 9 years. She is a past president of the American Kitefliers Association. She has been a member of the AKA since 1978, and active in committees and on the board of directors for over 12 years. She also served as convention manager/organizer. She now serves the International Kite Federation, Weifang China as a vice president.